(MSN): A year after leaders at a summit of the G20 nations declared an end to the era of bank secrecy, most of the countries targeted as tax havens have, one by one, been taken off the list of offenders. But for many critics, the banking world is still a long way from financial transparency. While French President Nicolas Sarkozy said "There are no tax havens any more," some disagree. Rather than the OECD list, they prefer one compiled by the Tax Justice Network which still has 60 different territories operating as tax havens, including many of those given a clean bill of health by the international community including London and Delaware. 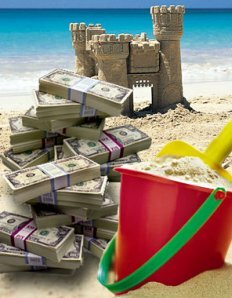 (CNS): The “Hiring Incentives to Restore Employment” Act of 2010 (HIRE Act) described as the latest effort by the US Government to restrict the use of offshore structures will be under the spotlight at the Cayman Finance Summit next month. 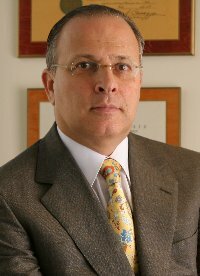 Steven Cantor, managing partner at Cantor & Webb Attorneys at Law will be providing insight into this piece of US legislation and the affect it may have on the Cayman Islands the organisers said. Contained within the HIRE Act are a series of tax provisions designed to combat noncompliance of tax laws and end several perceived abuses related to foreign accounts and entities owned by United States residents. The HIRE Act is the result of the bill put forward by Senators Bacchus and Grassley and was one that Cayman Finance was highly involved in lobbying for as an alternative to what they said was “Senator Levin’s protectionist and potentially damaging” bill. “Tickets for the first annual Cayman Finance summit are selling fast with a wide spectrum of the community showing interest in hearing from the high calibre speakers who will be coming to Cayman to discuss their views on economic principles,” organisers stated in a release this week. (CNS): Public meetings regarding the changes to the country’s political landscape begin on Monday evening in George Town. The public is being encouraged to meet with representatives of the new Electoral Boundary Commission (EBC) this week to offer opinions and comments on how three extra representatives should be added to the Legislative Assembly and where and how future constituencies should be shaped. George Town residents will have the opportunity to meet and make submissions to the EBC on 26 April, from 7- 9pm at the Mary Miller Memorial Hall, while West Bay residents can meet on Tuesday, 27 April, at the John A. Cumber School Hall also from 7-9pm. The Commission is chaired by Carl Dundas, with Norman Bodden and Adriannie Webb as members, who will be collating the information they receive in order to begin the work on adding the three new MLA seats as set out under the new Cayman Islands Constitution 2009, changing the representation in the existing electoral districts. 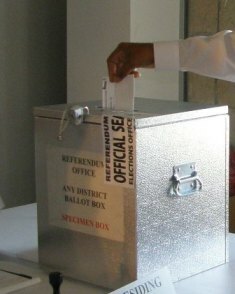 The debate among the country’s political representatives has never been concluded over whether Cayman should switch to single member constituencies or continue with multiple representation and just add the three new seats to the larger existing district constituencies, and the constitution does not order any specific time of representation but leaves the question open to the people. There are a number of possible changes that could be made to the electoral districts but both sides of the House — UDP and PPM representatives — have been reluctant to commit to single member constituencies. Once the boundary commission has finished its work it will submit a report to the governor before the end of May. It will then be tabled in the Legislative Assembly, at which point the political debate about the country’s future representation will begin in the parliament. All registered voters and those who are qualified to be registered are being encouraged to give both written and oral submissions from now until Friday, 7 May. In keeping with the EBC’s approach of transparency the commission prefers to receive signed submissions, but it will also accept anonymous contributions. Written submissions can be mailed to: The Electoral Boundary Commission, c/o Elections Office, P.O. Box 10120, Grand Cayman KY1 -1001, Cayman Islands. They may also be hand-delivered to the Elections Office on the 2nd floor at the Smith Road Centre, 150 Smith Road in George Town or emailed to electionsoffice@candw.ky. Oral submissions can be made this week and residents can call the Elections Office at 949-8047 for more information. Vote in the CNS online poll: Do we need three more MLAs? Earlier this year, the Queen Elizabeth II Botanic Park was the first Botanic Park in the Caribbean region to gain Certification. Through their participation in CEPTS, a joint pilot project between the Departments of Tourism and Environment and the tourism private sector, both resorts had to apply 248 standards, implement various environmental practices and have an independent third party audit completed in order to attain Certification. Green Globe is also ISO 17021 compliant, thereby ensuring the highest international standards. “Being able to display the Green Globe on your website and marketing materials really is an incredible badge of honour and one that will reap rewards in terms of cost savings and the significant promotional benefits that come hand-in-hand with the Certification,” said Oneisha Richards, the Department of Tourism’s Deputy Director responsible for Product Development. 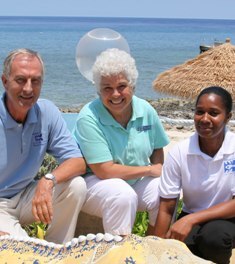 She said both properties had to work extremely hard to get to this stage and would need to continue doing so in order to turn their green efforts into sustainable, long term goals for staff and guests alike. Both resorts have specially appointed "green teams" that implement and oversee their green programmes. Cobalt Coast Dive Resort’s environmental best practices include using a 2-button system for toilet flushing in the guest bathrooms, reusing old towels and staff uniform t-shirts as cleaning rags, collecting recycling oil from compressors and kitchen cooking oil for reuse off-site by a local biofuel company, and delivering glass bottles and used batteries to the city dump for disposal. Compass Point Dive Resort’s environmental best practices include identifying an energy automatic control system for guest rooms, using biodegradable/environmentally friendly housekeeping chemicals in the resort and bio-diesel in the dive shop operations, composting, and sorting of solid waste into recyclable and non-recyclable materials. The properties received their certificates at the “Living Green Fair”, which was held on the lawn of the Governor’s Residence on Friday. About Green Globe Certification : Green Globe is a worldwide green certification based on internationally accepted criteria for efficient operations and improved environmental performance of travel and tourism businesses. Operating under license, Green Globe Certification is based in California, USA and operates in over 83 countries. Green Globe is the only certification company to be an affiliate member of the United Nations World Tourism Organization (UNWTO), is partly owned by the World Travel and Tourism Council (WTTC) and a member of the Caribbean Alliance for Sustainable Tourism (CAST) governing council. Green Globe Certified businesses are recognized by AAA (American Automobile Club), British Airways Holidays, Air Canada Vacations, Travelocity, and other tour operators. Certified businesses are also promoted across all Green Globe websites, including www.greenglobe.travel, and in the popular travel magazine Islands. For more information about becomingGreen Globe Certified, visit www.greenglobe.com or contact the Department of Tourism at 949-0623. (CNS): Delivering his message for vaccination, the health minister has said that while Cayman has the most successful vaccination programme in the Caribbean, as host to over 100 nationalities even when some diseases are eliminated locally the island is vulnerable to reintroduction. He said parents should remain vigilant and check their children’s vaccination cards. 97% of children in Cayman are vaccinated as they enter primary school against a number of childhood diseases and the HSA has recently introduced programmes to protect children from the rotavirus vaccine and the pneumococcal vaccine. "Thanks to modern vaccines and vigilant, committed public health professionals, Cayman is largely free from devastating diseases such as polio, neonatal tetanus, rubella, mumps, measles, diphtheria, whooping cough, and tuberculosis. Indeed, vaccines are central to preventing contagious childhood diseases, and immunisation is without doubt one of the most cost-effective ways of keeping our children healthy. Locally, our Public Health Department runs a relevant and modern vaccination programme, covering between 90 and 95 percent of all infants and some 97 percent of children entering primary school. All vaccines used in the Cayman Islands are obtained from reputable manufacturers and are administered in strict compliance with guidelines from the World Health Organisation (WHO) and the regional Pan American Health Organisation (PAHO). Aware of the fact that any successful immunisation programme must continually update and adapt, we recently introduced two new vaccines to the childhood vaccination schedule: The rotavirus vaccine protects against severe vomiting, diarrhoea and dehydration caused by the rotavirus; and the pneumococcal vaccine protects against serious infections such as pneumonia, meningitis, and blood poisoning, as well as ear infections caused by bacteria known as streptococcus pneumonia. Their steadfast efforts have earned our public health officials the 2009 Pan American Health Organization’s Caribbean Sub-region Surveillance Award – an accolade that justly acknowledges them as being the best among 28 Caribbean nations. Yet even as we celebrate such notable successes, we must stay on our guard: Cayman hosts over 100 nationalities as residents, with many more – visitors as well as returning residents – arriving daily from all over the world. It is therefore evident that even when we manage to eliminate some diseases locally, we will always be vulnerable to reintroduction. Thus as Health Minister, I fully support our Public Health Department as it strives to give every child access to age-appropriate vaccines. My ministry will also continue to facilitate the introduction of any new vaccines recommended by WHO and PAHO. However, while it is government’s role to provide the necessary resources for continued success of the programme, I remind you that parents too havea major responsibility. As such, I ask you to join our country’s efforts this Vaccination Week – observed from 24 April to 1 May – by taking the simple step of checking your children’s immunization cards. As the international immunisation awareness campaign slogan states: Love them, protect them, immunise them. So, for their sake, ensure their inoculations are up to date, because vaccination is truly a primary act of love.